Austin, you’re in for a treat this Thursday at Flamingo Cantina. 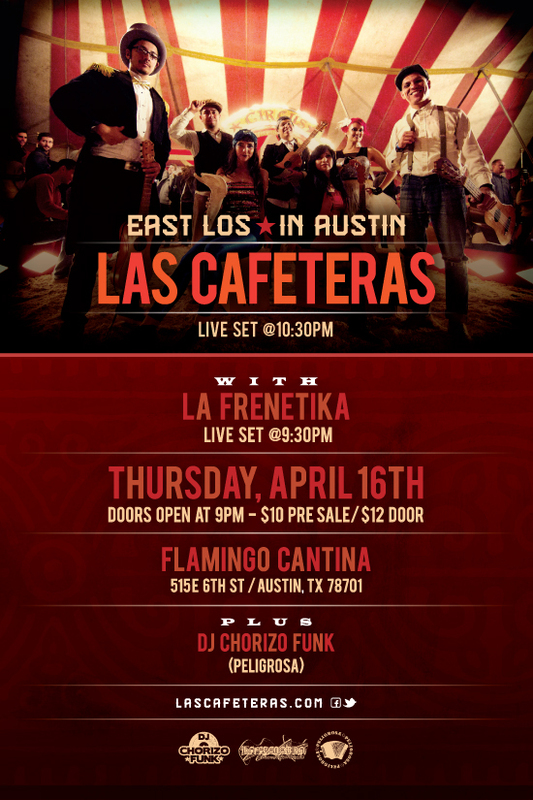 Las Cafeteras from East Los Angeles will be making a special one night only show in Texas, and it’s here in the capital city! Las Cafeteras have built a strong following across the country with their unique blend of Son Jarocho (Afro-Mexican music originally from Veracruz), hip hop, folk, & more styles all in an exciting stage show. Tickets are still available but going fast! Don’t sleep! Get tix here. Here’s a sample of the band doing a live in studio performance on KEXP in Seattle. Enjoy!